Welcome to Bolham Community Primary School, a small village school with a strong sense of community and enormous pride in all of its achievements. Situated a mile from the Mid Devon town of Tiverton and close to the River Exe and Exmoor National Park we serve a catchment area of over 22 miles covering the villages of Calverleigh, Chettiscombe, Chevithorne, Loxbeare, Lurley, Templeton, Washfield and Bolham and including parts of Withleigh, Cove and Tiverton. Working together, dedicated staff, governors and parents aim to provide our children with a primary education filled with inspirational and life-long learning experiences based upon a secure academic foundation. 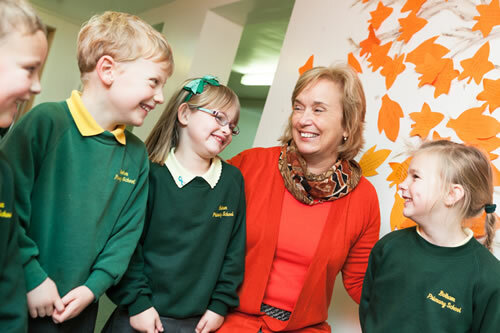 As headteacher, I am always delighted to take the time to welcome parents and visitors to our school. Please contact the School Office for an appointment if you wish to experience our welcoming atmosphere and view our thriving learning environment.